Lots of aerospace and aviation businesses would like to have more media coverage, but are sometimes unsure or confused about what makes an item newsworthy. Let's be clear: editors want your legitimate news. They are much less enthusiastic about pitches that are clearly self-promotional and don’t tell them anything new or important. In order to know what makes a story newsworthy, you need to have a good understanding of what news really is. 1. Newly received or noteworthy information, especially about recent or important events. 2. Information not previously known to someone. In general, news is anything that is new, recent, important, unique, special, one-of-a-kind, or first. Make sure your story is credible, specific and supported by facts and data. 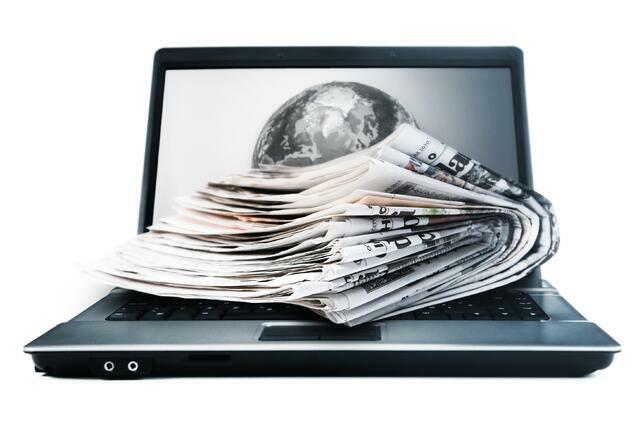 Here are suggestions for identifying newsworthy activities at your company. 1. When something is new. 2. When you achieve something important and/or are recognized for it. 3. When there is a significant change to your business or organization. 4. When something is timely and/or trending. We believe this is the era of Public Relations. Working with the media requires specialized skills and knowledge. 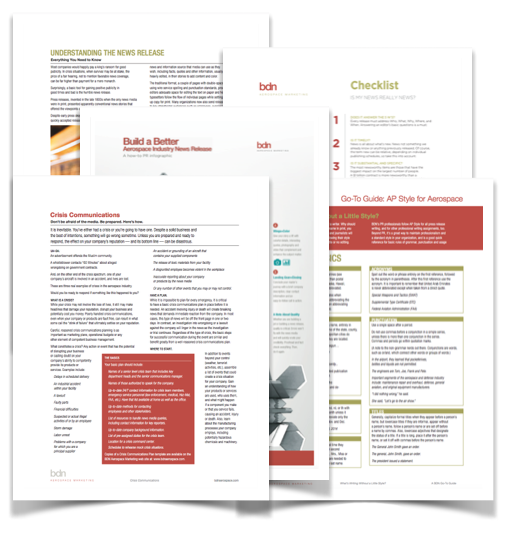 This exclusive PR Toolkit will help you avoid common missteps and work more effectively with the aerospace and defense news media.